The village of Mata Ortiz is located in Mexico and has been the site of a large group of artists. In 1955 Juan Quezada set about to encourage local potters to develop their special pottery. Today there are over 300 potters making their own unique pottery items. There are 6 different styles being made in this village: Black; Polychrome; Sgraffito; Colored; Miniature and Special Shapes. 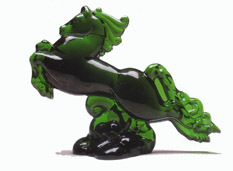 Many shapes are made that include: bowls; vases; plates and figural items. 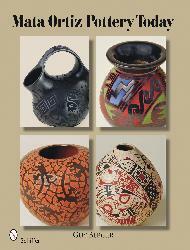 The full color on the pages shows a wide range of diversity in this pottery. Many of the pottery pieces are represented one per page to reveal the outstanding detail. 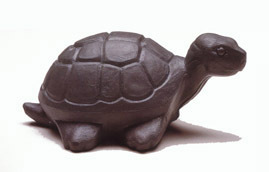 Their black items are very different from other potters and unique in how they are created. The six chapters offer the different styles and many examples are pictured of each. Many themes are represented along with various kinds of wildlife.